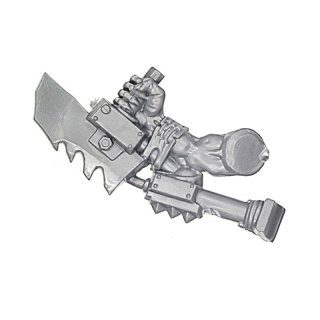 This saw is atteched to an Ork arm. The fast Ork Stormboyz are equipped with Rokkit Packs and they are mainly used on the front line to stir up unrest in the enemy ranks. 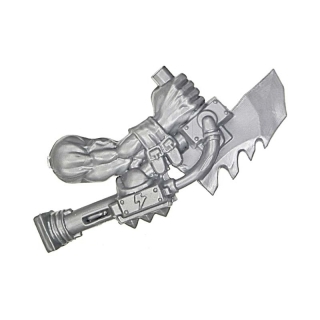 The Stormboyz differ from the ordinary Warhammer 40k Ork Boyz. Contrary to the anarchic structure of the Clans, these young Orks strive for discipline and order. Orks from different Clans form up a Stormboy mob. These young rebels perform military exercises, clean themselves and their equipment meticulously and they wear uniforms. 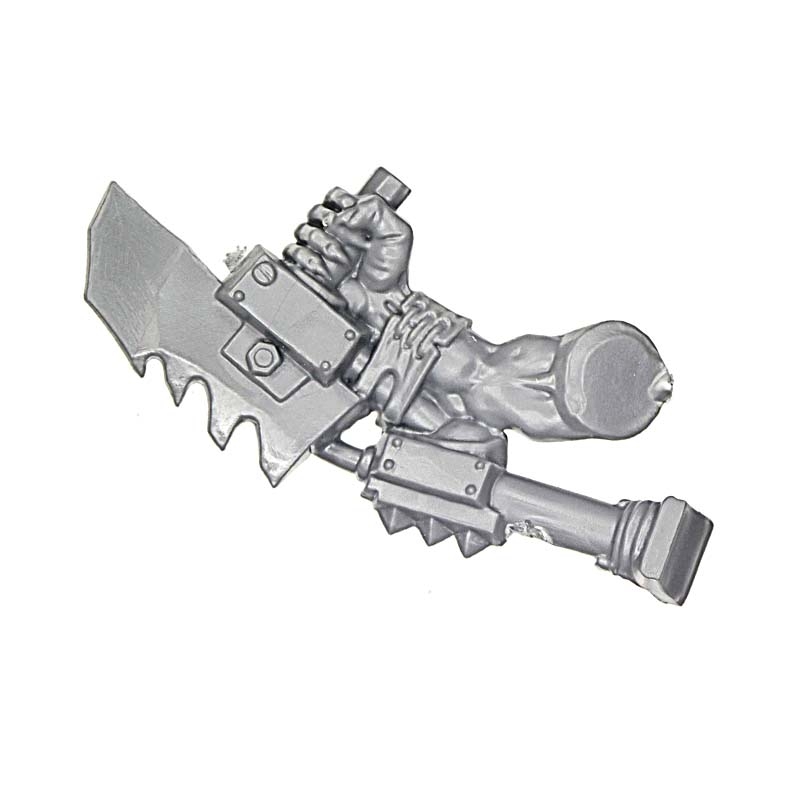 After some time, when the youthful exuberance sets, most Stormboyz return to their clans.